‘What We Started’ features an oral history from some of dance music’s biggest stars. Before we even begin, let’s make something abundantly clear – if afraid you’re in over your head by the genres or that this type of music doesn’t pertain to your current favorites list on SoundCloud, think again. See, there you go again, telling yourself that this doesn’t pertain to you. Again, it does. Afro Jack‘s analogy of replacing an artists’ genre label from underground to mainstream, then using that now mainstream artist to compare with someone else breaking through to mainstream, labeling that initial mainstream artist back to underground is a wonderful way to exhibit the progression of music while demonstrating the narrow-mindedness of fans not wanting THEIR artist to become a successfully popular mainstream figure. It’s almost as if we’re losing a part of self when other people like what we do, it’s human nature. So, admit it – you’ve done it, we all have. Hence one reason this film is for everyone. From the turntable magic of mixing two records, in 1970’s New York, to produce one danceable sound at clubs such as Paradise Garage to the early 1980’s friendly electronic beats in Chicago, to a more robotic, industrial, raw sound at Detroit clubs like The Music Institute, What We Started provides a seamless transition between these time periods, expanding into how this American produced vinyl ended up being electronically played at European clubs, outdoor field or warehouse rave parties to current global electronic festivals held today, such as Miami’s three day Ultra Music Festival. Written and Directed by Bert Marcus and Cyrus Saidi and Executive Produced by legendary BBC Radio 1 DJ, Pete Tong, What We Started continues the history of electronic music….all the while showcasing the very different progressions of three artists. Featuring legendary vinyl spinning producer Carl Cox, who began playing American produced records in the U.K., the self branding minded genius of Paul Oakenfold who gained worldwide notoritiy by opening U2‘s ZOO TV tour and playing more than 150 solo U.S. shows in one year to EDM’s newest instant sensation, 21-year-old USB stick artist, Martin Garrix whose track Animals has been viewed over 1.1B times on YouTube and named worldwide DJ of the year twice already, in a refreshingly simple format. But, with music, hasn’t it always been up to individual interpretation to determine what is likable or even suitable? While it is well known that drugs have been a part of the music industry since the beginning of time, the popularity of ecstasy at raves in the 1990’s led to worldwide outrage – blaming the music itself for the growing number of ravers rolling. 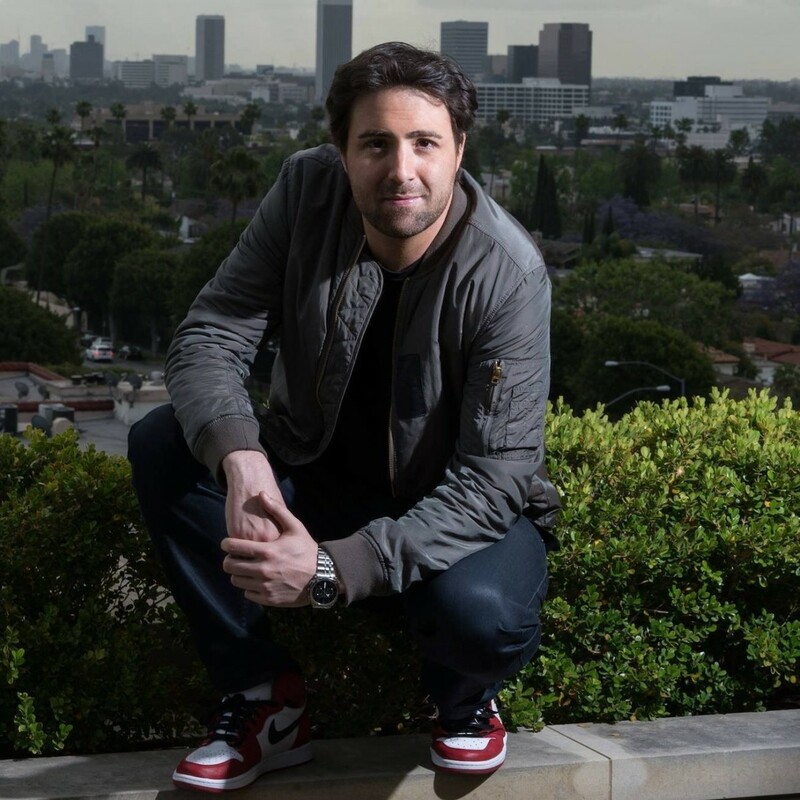 The film details promoter Disco Donnie‘s tribulations during this time in a slightly skewed but otherwise truthful manner. 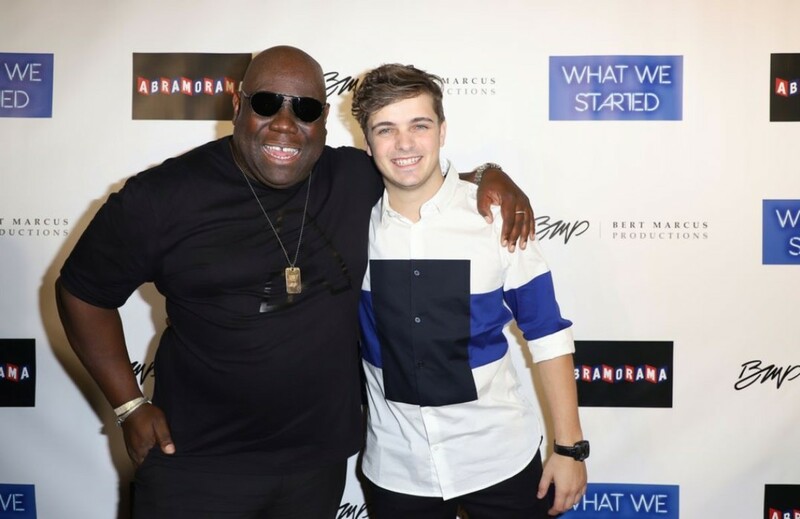 A subplot of the film is the highlighted journey of Carl Cox’s highly emotional final performance at Spain’s Space Ibizia, where he had been the resident DJ since 2001, to Martin Garrix’s tense hours before headlining the main stage at Ultra Music Festival’s closing night, the youngest to ever perform. What We Started also includes differing opinions from Moby, Ed Sheeran, Louis Vega, Tiesto, Richie Hawtin, Sasha, Usher, Erick Morillo, Chip Eberhart, among others in this enjoyable, educational, smartly produced film.